In a gloomy house in provincial Saumur lives the miser Grandet with his wife and daughter, Euginie, whose lives are stifled and overshadowed by his obsession with gold. Guarding his piles of glittering treasures and his only child equally closely, he will let no one near them. But when the arrival of her handsome cousin, Charles, awakens Euginie's own desires, her passion brings her into a violent collision with her father that results in tragedy for all. Euginie Grandet is one of the earliest and finest works in Balzac's Comidie humaine cycle, his magnificent panorama of post-Revolutionary French life, which portrays a society consumed by the struggle to amass wealth and achieve power. Here Grandet embodies both the passionate pursuit of money, and the human cost of avarice. 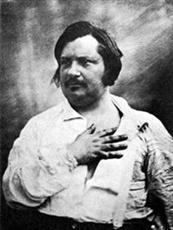 Balzac was born in 1799, the son of a civil servant. At the age of thirty - heavily in debt and with an unsucessful past behind him - he started work on the first of what were to become a total of ninety novels and short stories that make up The Human Comedy. He died in 1850.